Alan Day was born in Sault Ste Marie, Ontario, Canada which is between Lake Superior and Lake Huron, on the border between Canada and the United States. He was brought up in North Bay, Ontario, which is about 360 km east of Sault Ste Marie on Lake Nipissing (it is about 300 km due north of Toronto). It was in North Bay that Alan attended primary and then secondary school. At this stage he had no aspirations to an academic career, rather he decided that life in the Canadian Air Force would make a good career. The Air Force gave him the opportunity of studying for an undergraduate degree in mathematics which they financed on the condition that he then followed an Air Force career. From 1959 to 1963 Day studied mathematics at McMaster University in Hamilton, Ontario. His performance was not outstanding for at this stage he did not see mathematics as playing much of a role in his future. After graduating in 1963 he was Lead Navigator in the 415 (M.P.) Squadron. He held the rank of Captain and spent four years in this role. However it was during these years that he found himself bored with life in the Air Force and he realised that in fact his real love was mathematics. He began to work on that topic and in 1967 he resigned from the Air Force and began to study for a Master's degree at McMaster. If his application had been based solely on his undergraduate record it is unlikely that McMaster would have accepted him onto their graduate programme, but the mathematics he had done while in the Air Force was sufficient to convince them of his research potential. Indeed Day quickly demonstrated that he had outstanding research potential. Within nine months he had completed his Master's degree and submitted a Master's thesis On modular equational classes. 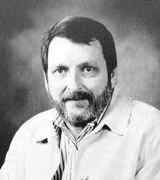 He graduated in May 1968 and published the results of his thesis in the paper A characterization of modularity for congruence lattices of algebras published in the Canadian Mathematical Bulletin in 1969. He continued to undertake research at McMaster for a doctorate advised by Günter Bruns. The award of the degree followed the successful defence of his thesis on 15 April 1970. The award of a National Research Council postdoctoral fellowship allowed him to undertake research during the following academic year at Vanderbuilt University in Nashville, Tennessee, also at the University of Waterloo in Ontario and at the Technische Hochschule in Darmstadt. Lakeland University in Thunder Bay, Ontario, offered him the position of Assistant Professor which he accepted and took up the post at the beginning of the academic year 1971-72. Some of Day's early papers are: Injectives in non-distributive equational classes of lattices are trivial (1970), A note on the congruence extension property (1971), Injectivity in equational classes of algebras (1972), Splitting algebras and a weak notion of projectivity (1973), Filter monads, continuous lattices and closure systems (1975), and Splitting lattices generate all lattices (1975). He spent his whole career at Lakeland University in Thunder Bay, being promoted to Associate Professor in 1975 and to full professor five years later. We have already noted above his research visits to Vanderbuilt University and the Technische Hochschule in Darmstadt in 1970-71. He made similar research visits to these two institutions when he took study leave in 1975-76. In 1983-84 he again took study leave, spending part of the year in Darmstadt but on this occasion he spent the remainder of the year at the University of Hawaii. He returned to Hawaii as a Visiting Professor for the winter term of 1987. Alan once told me that he really liked elegant mathematics: simple ideas that give profound insights. Of course, everyone does, and it was for that reason that Alan was particularly proud of his doubling construction. It is a method which is simultaneously powerful and simple, with subtleties that go beyond the surface. It is a subject to which Alan kept returning to the end. This paper surveys Alan Day's work in modular lattice theory and its importance to the subject. Day's contributions to the subject spanned a 20-year period, beginning with his early joint work on four-generated modular lattices with C Herrmann and R Wille [On modular lattices with four generators] and ending with his work with Herrmann, B Jónsson, J B Nation and D Pickering. Day wrote papers on splitting modular lattices, frames and coordinate rings, critical configurations for the Arguesian identity, modular congruence varieties, and application of modular lattices to database theory. ... Alan Day was certainly a leader in the new wave of computer enthusiasts. Early on he worked out an arrangement with Apple computers: and he was always a strong supporter of their machines. One of his early projects was to create a large database of papers in universal algebra and lattice theory. In the mid 1980's he distributed to his colleagues a program to draw lattices which had menus to check properties such as distributivity and modularity. And the last lecture I heard him give was a lovely talk on relational databases, at McMaster in the Fall of 1989. His proofs involved a subtle manipulation of terms and, when asked by a colleague about how he found one particularly hard proof, he replied "Simple. I came to work in the morning, wrote the equations down, and tried to manipulate them. After two years of doing this every day, I found the proof." Personally, Alan always had a great affection for Northern Ontario, good food (which he often cooked himself), beer, fine wine, and good humour. He was very proud of being Canadian. ... would enthusiastically talk mathematics with anyone, anywhere, at any time. Day was married to Lise Minville. In August 1989 he underwent surgery and pancreatic cancer was diagnosed. He struggled bravely against the illness for sixteen months, continuing to undertake research in his home. He even managed to travel to Connecticut to deliver a series of lectures. After his death his colleagues organised a conference to honour his memory. Held at McMaster in August 1992, expositor talks were delivered by R Freese, J B Nation, and C Herrmann. The papers , , and  are based on these talks.